Feb 10th 2015 Super Lee Carsley! Lee Carsley joined Everton in February 2002! He has played for Coventry, Blackburn, Derby County and Birmingham, as well as for the Republic of Ireland, but he will always be known for sticking the ball in the Redshite's net! 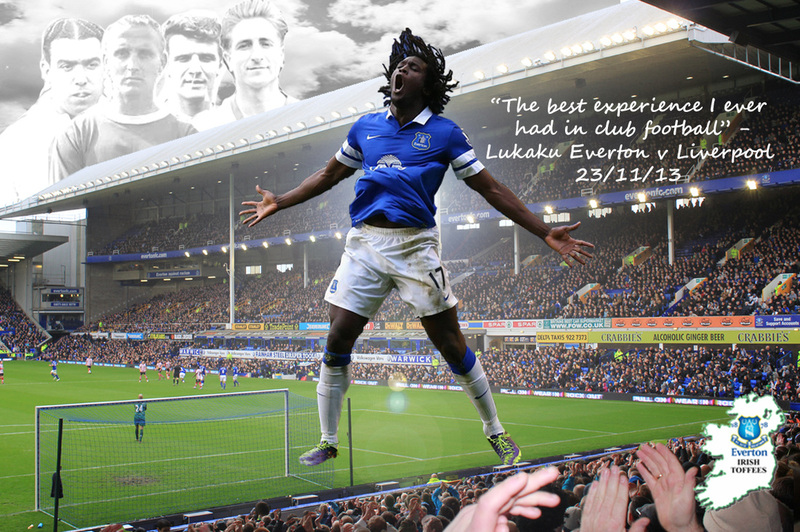 Larger than life Lukaku scores a brace for Everton against arch rivals Liverpool at Goodison Park. Sept 23rd 2013: Which is your favourite crest? Update 03/10/13: Similar to our poll, crest A has been officially unveiled as Everton's new crest for the 2014/2015 season onwards. Votes received by Everton: 13268. Crest A: 78.18%. Crest B: 12.21%. Crest C: 9.61%. Just for fun we're running our own poll to see what Irish Everton fans would choose as the new Everton crest! Please vote below. You can also see a collage below of all Everton crests that have existed. Everton, of course, are asking fans to vote for our next crest. You must have an Everton e-ticket / account number to vote. Take your pick at http://www.evertonfc.com/crestvote. Darron felt he couldn’t play for Trap after his treatment at Euro 2012. “I was embarrassed when I came back from the Euros (after) not winning a game and not getting on the pitch". Full interview can be found here. September 13th 2013: The Irish Toffees On Tour - Next up Liverpool. in Dublin for around midnight that night. Let's hope Coleman and new blue McCarthy can make a difference! Great to have four Irish Internationals in the Everton squad. Our first official trip of the new season was Roberto Martinez's first home game in charge against West Brom on August 24th, which ended all square 0-0. JQ's weekend report can be found here and Ben Lens photo gallery of the weekend can be found here. Both are excellent as ever! Our Many thanks to all involved in another very successful Jim Kearney Memorial Cup and Dermot Nealon Man of the Match Award! To Club Everton for providing the hard fought opposition, to the Irish Toffees players for their effort and respect for the occasion, to the supporters for turning out and cheering on the team, to the Postal Club for hosting the event, and to all those involved in organising the event, with a special shout out for Dom, Kev and Dave. If you would like to play for The Irish Toffees football team (and are a signed up member of The Irish Toffees) please contact Dom@irish-toffees.com. More details can be found on here. Barclays new Premier League 2013 trailer - worth a watch! Features an old Everton fan on way to the match. 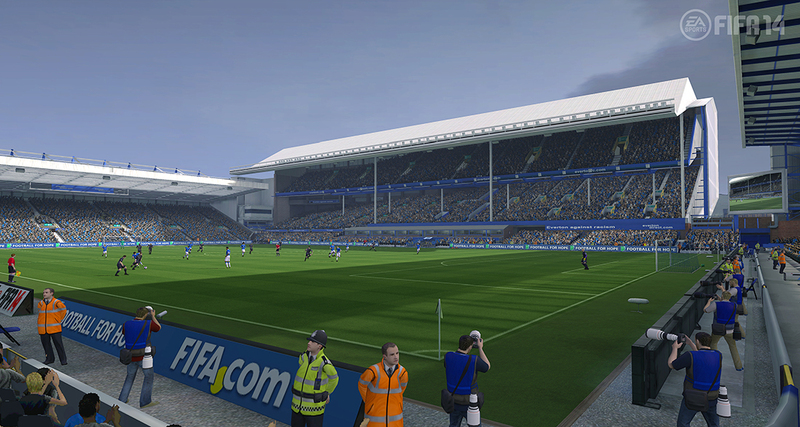 So at long last Goodison Park will be an option in FIFA 14! Gone will be the days where you spend a while scrolling through the available stadiums looking for one that looks somewhat like the Old Lady.